If you are looking for man and van London service as you know you can find one round you corner house where you live. Pretty much 60% of the van owners do a man and van service as a part time job on a weekends, but their vans could be very filthy, rusty and very dirty after being on the building side and carrying bricks or bags of cement. You may notice their prices are below average to make sure they get any job for the weekend and it looks like what ever they are asking for its to much of a bargain. Please take into considaration when booking man and van london service. 1 - What guarantees they will turn up? At the AV Removals we have witness people got let down on the day by another man and van London service by not turning up and we had to come to the rescue. Customers make a booking sometimes 1 month in advance and when it comes to the move day, driver they booked in not answering his phone and nowhere to be seen. At AV Removals - We have a large fleet of vehicles and sister company with 24/7 call centre. We will always turn up on the job and will not let you down. Sometimes in circumstances like major traffic, road works or breakdown we might be running slighlt late but we will never let you stranded. 2 - What Insurance do they have? At AV Removals - Your goods are fully insured up to £10,000 by our "Coversure" goods in transit insurance. We will send you our terms and conditions to see what we are covering. Sometimes when we transporting expensive medical machines worth £50.000 and our client wishes to make sure the equipment is insured we can increase our cover for that job if require at a small fee. You can always give us a call to discuss your claim. 3 – Is the Man and Van London Service reliable? If a single London man and van operator can patch his van up (be it the engine or the leaking roof) he is going to do it! Which brings into question not only the reliability and road worthiness of the van, but also how safe your worldly possessions are on board? If the van breaks down before it is due to get to you then you won’t be moving that day and if it breaks down while it’s with you then you are even more stuck!! 4 – Is the man reliable and will he help you move the stuff. Many of the cheaper London man and van services don’t actually help you move your items so there you are struggling with your wardrobe whilst your hired help is sitting in the cab smoking a fag (BTW it’s now illegal to smoke in the cab as it’s a place of work!) Further if you are letting someone into your home are you happy for them to be there. How trackable is that person if something goes missing, gets damaged or he leaves great dirty footprints all over your new white carpet? What we do differently – all our men are uniformed and employed by us. If there are any problems you can call our contact centre and we can address them immediately! and any damage , as previously mentioned is insured. Effectively our Man and Van London men are employed to do as you need (within reason!) so if you need your bed dismantling and taking down from the 3rd storey and then rebuilding and taking up to the 4th storey, or if you need 300 boxes taking in the goods lift 1 mile down the corridor that’s what he will do. We can provide as many guys as you need to get the job done so you have the choice between the economy of 1 man with you helping to the convenience of 3 guys doing your beck and call. 5- What’s the real price? If you are told that its £25 per hour do not forget to add in the extras! What’s the minimum charge is it 1 hour or 2 and do you get charged an extra hour if you go over by 5 minutes?, is VAT included?, are there any fuel charge?, are there any mileage charges?, is there a charge to come from the depot, is there a charge to go up the stairs? What we do differently – you pay for the time you need and that’s it. The rates are discussed up front; we do half day and full day rates and can even give you a fixed price for long distance jobs. there is a minimum charge of just 2 hours for 1 man and 2 hours for 2, there after we only charge you every 1/2 of an hour at which ever rate you are on, there are no fuel charges within the M25, there is no charge to come from the depot, and no charge to go up the stairs. To put it bluntly there are no additional or hidden charges. Everything is discussed with you at the time of booking with our contact centre staff, the booking and terms are emailed to you. If your removal man and van London service only give a mobile number as a point of contact then be wary – if you can’t get hold of that one person then you are on your own! What we do differently – a 24/7 call centre with trained operatives are here to help you at the time of booking, before, during and after your move. All our drivers are provided with company phones to which the full job details are emailed. They have all the information that you told us at time of booking. Further the vans are fitted with trackers so we can see exactly where they are at any time. At the end of the day when it comes to London man and van removals don’t forget these are your worldly and treasured possessions. Do you want them driven off into the sunset by someone on the end of an (easily disposed of) mobile? Even better, undertake your London man and van move with confidence by using AV Man and Van Removals, and have peace of mind that everything will be handled professionally and that your valuables are safe. To know more about our Man and Van London services, Get a Quote today! 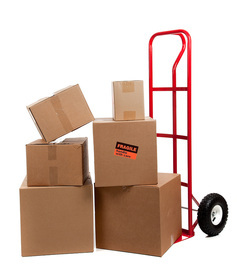 AV Removals has a solution for all your moving needs. Get a free quote or call AV Removals on 07809406997 We'll take care of the rest.